⏳Time is running out to save 20% off! *Promo expires 5/11/17, 11:59pm PDT. No promo code required. 20% off discount and free US shipping will automatically be applied to cart. Excludes all Sale Items, Gift Sets, Travel Sets, Regimens, Discounted Bundles, eGift Cards and Subscriptions. If auto-replenishment is selected, the 20% Off promotion will not be applied to future auto-replenishment orders. Does not apply to out of stock product and no rainchecks will be given. May not be applied to a previous order. May not be combined with other promotions, promotional codes or discounts. While supplies last. Free shipping for US only. 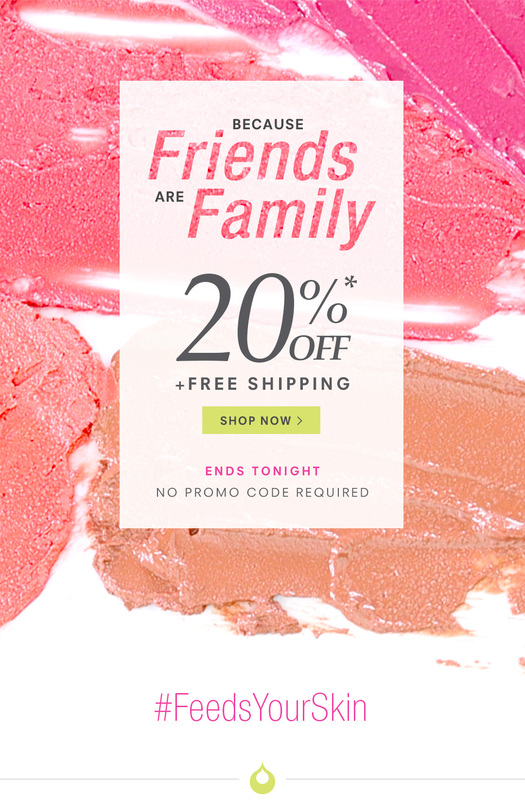 You are receiving this e-mail because you have opt-ed in to receive news and special offers from Juice Beauty. To ensure you continue to receive our emails in your inbox (and not sent to bulk or junk folders), please add juicebeauty@shop.juicebeauty.com to your address book.